The cutest A-Frame on the market and TALK ABOUT LOCATION!!! This precious cabin is EVERYTHING you’ve hoped for! Beautiful real wood floors! Convenient, open kitchen/living/dining with nicely updated kitchen! Master bedroom has sweet remodeled bathroom with step-in shower, 2nd bath on lower level also and it has all the nice updates too! Super sweet, well-arranged loft is great for office. study or guest room. Quality upgraded windows throughout. Step out on to the deck and take in those 360 degree views. Those soaring canyon walls…AMAZING. Garden space galore, patio out back for grilling with friends and those decks…you won’t believe those views until you see them. Come on up and sit a spell!! This one is on the Jemez Springs water so no well to fuss with!! Easily accessible!! 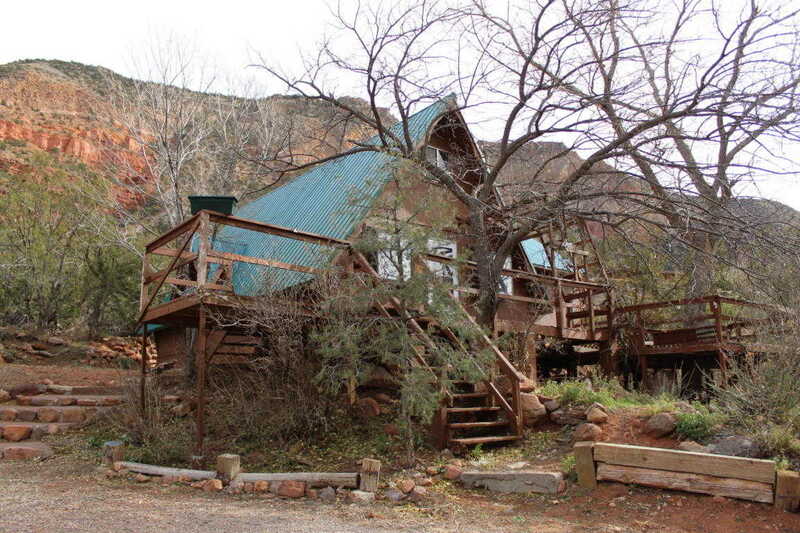 Please, send me more information on this property: MLS# 933323 – $232,000 – 136 Arroyo Road, Jemez Springs, NM 87025. I would like to schedule a private showing for this property: MLS# 933323 – $232,000 – 136 Arroyo Road, Jemez Springs, NM 87025.